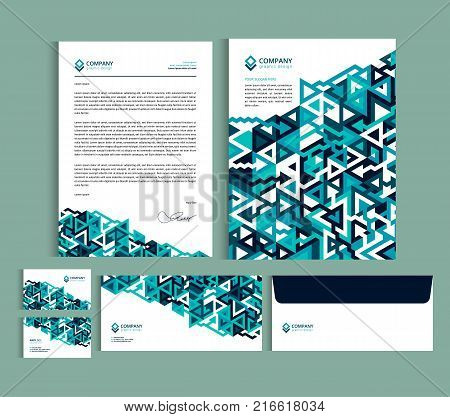 envelope › Buy Poster of Business identity design templates. Stationery set - Letterhead A4 template name card (35 x 2) envelope (8.66 x 4.33) presentation folder(9 x 12) with geometric pattern. Vector illustration. Poster of Business identity design templates. Stationery set - Letterhead A4 template name card (35 x 2) envelope (8.66 x 4.33) presentation folder(9 x 12) with geometric pattern. Vector illustration.